You can create beautiful and sustainable works of art from salt dough. With Utopia’s quick and easy salt dough recipe, you can shape, bake, and decorate a variety of forms and figures. 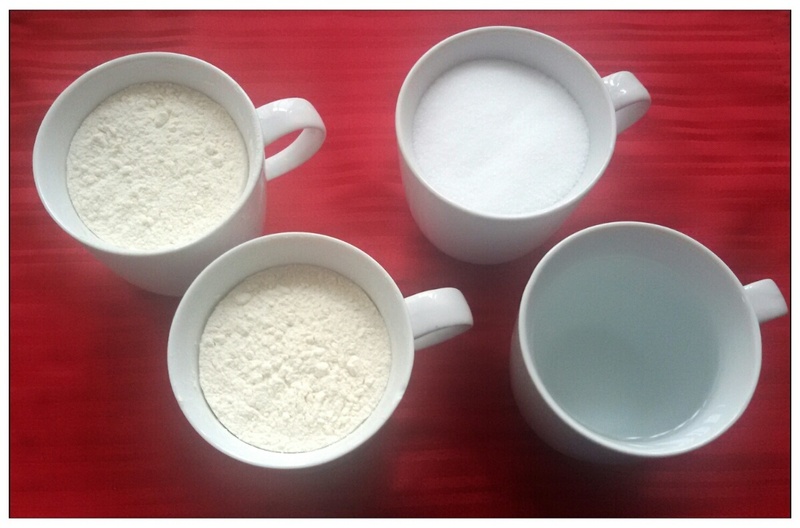 Flour, salt, and water are combined at a 2:1:1 ratio. This makes it easy to make larger or smaller batches as desired. Hint: To make the dough even smoother and easier to knead, you can substitute half a cup of corn starch for the same amount of flour and add 2 tablespoons of oil. Mix the flour and salt in a bowl, then add the water. Stir the ingredients with a spoon until a smooth dough has formed. Knead the dough with your fingers. If the dough sticks to your hands, add a dash of flour. After kneading, the salt dough is ready to be molded into shape. Hint: While the dough can be colored with spices or other natural coloring before being shaped, the colors will lose some of their brilliance when baked. For more vibrant colors, paint the dough after baking instead. 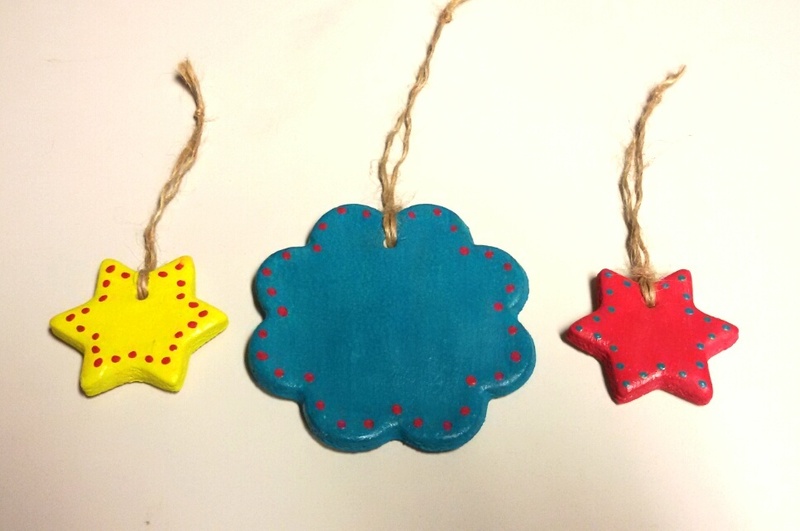 Holiday Ornaments: Lightly cover your table or counter with flour, then use a rolling pin to flatten the dough until it is about 0.5 cm thick. Use cookie cutters to cut out the individual ornaments, then place them onto a baking tray with the lightly-floured side down. Before baking, skewer a hole through the ornament, so that you can thread and hang it later. Make sure the hole is large enough and far enough from the edge of the ornament. Once the dough is dry, it is difficult to make changes without damaging your work. Forms and Figurines: Silicone baking pans with different motifs can be used to shape great table decorations or play figures for children. Carefully press dough into your mold to fill it. Cut or gently tear away any excess. Handprints and Footprints: Lightly cover your table or counter with flour. Roll out a correspondingly large piece of salt dough until it is about 1 cm (⅜ in) thick. 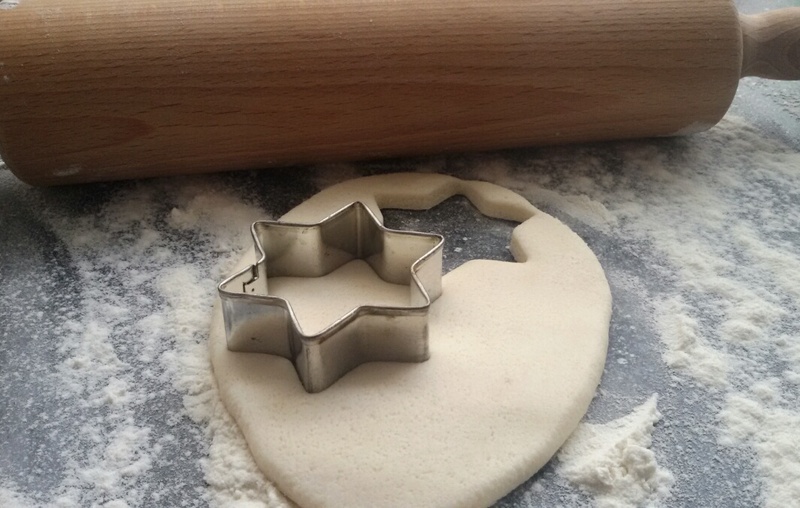 Have your child press his or her hand/foot into the dough until the impression is clearly visible. Depending on their weight/strength, you may need to help your child press firmly enough. If you will want to hang with the impression later, drill a hole in it as well. Begin by baking your dough for 30 minutes at 60°C (140°F). Increase the heat to 100°C (212°F) for the second 30 minutes. Increase the heat to 120°C (250°F) for 2 hours or until the center of the underside has hardened. 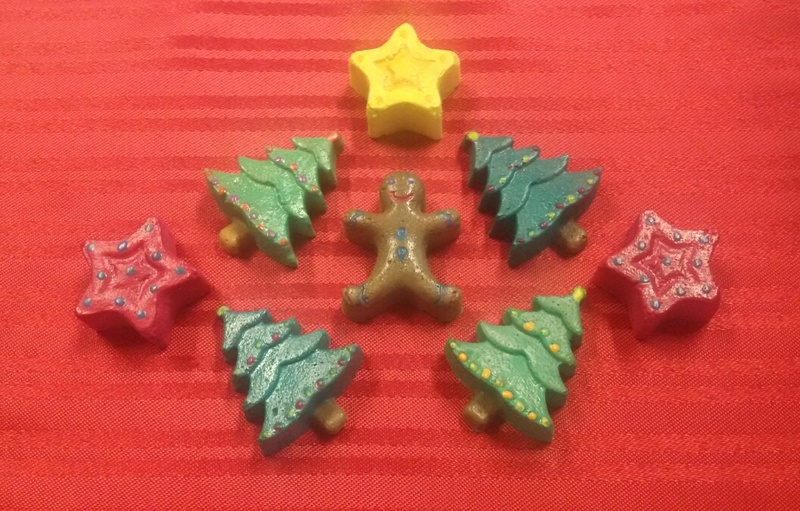 After your dough has dried and solidified, you can paint and decorate your figures. Various paints are suitable for this. For the figures pictured, we used watercolors with strong emphasis on the pigment and as little water as possible. To get a really rich color, you will need to do at least two coats. When you have finished painting your salt dough creations, they should again be allowed to dry in a warm place. Since the salt dough absorbs water from the air over time, it must be coated with a clear lacquer (either water-based or vegetable oil-based) to make it more durable. Make sure any paint or lacquer you use is suitable to be used for children’s toys.